Rihanna was at the top of everyone’s best dressed list thanks to her stunning Tom Ford dress. 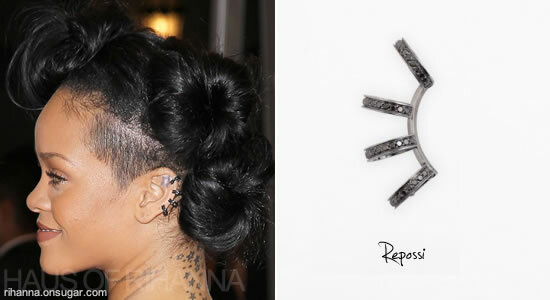 That night she wore several pieces from Repossi including two ear cuffs from the Berbère collection. The ear cuffs were black gold studded with black diamonds. 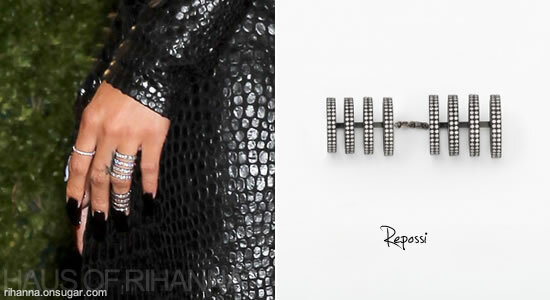 She also wore a ring from Repossi’s Berbère collection on her left hand. The ring features eight connected hoops and is studded with white diamonds. Visit the official website for more info.